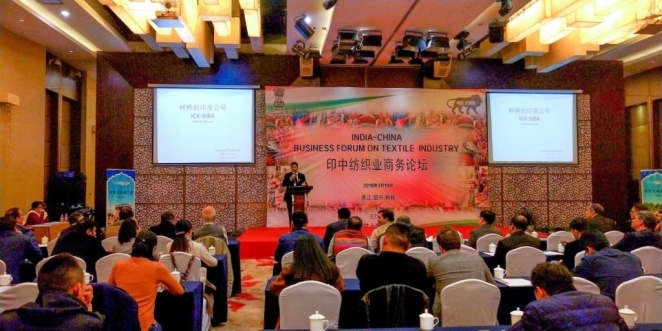 Consulate General of India in Shanghai organized an India-China Business Forum on Textile Industry in Shaoxing (located in Zhejiang Province) on March 19, 2018. 2. 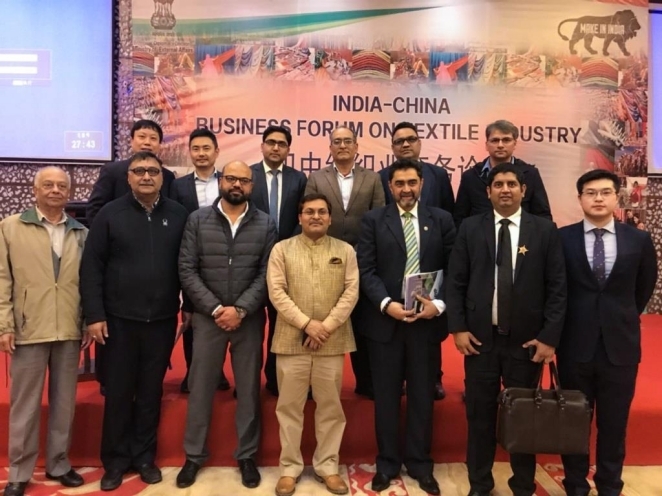 The objective of the Business and Investment Forum was to introduce the investment opportunities available in India to Chinese companies in textile sector as part of the ‘Make in India’ initiative. 3. 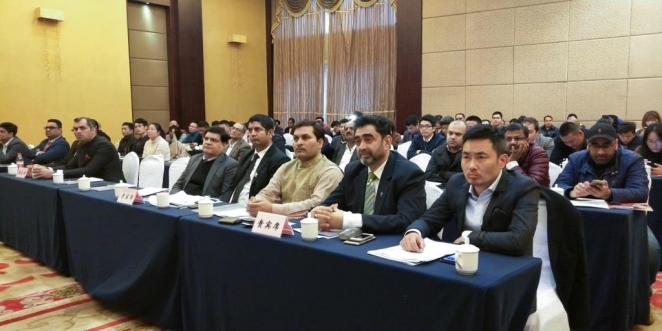 The seminar was attended by nearly 105 Shaoxing based companies together with the prominent businessmen in textile industry from Hangzhou, Ningbo and Yiwu in Zhejiang province. 4. 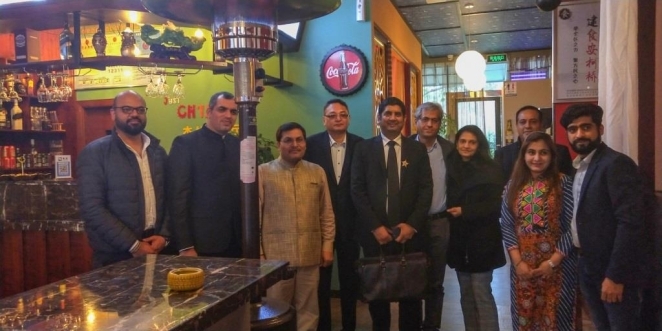 Consul General Shri Anil Kumar Rai in his welcome address appreciated the effort of Indian businessmen in Shaoxing in transforming the city as ‘Textile City of China’ and encouraged them to explore opportunities of taking their expertise to India and invest in India. He also apprised the potential Chinese investors attending the event about the advantages offered by India as an investment destination, and urged them to invest in India and establish manufacturing in India. A detailed presentation was made by Consul Mr. Naveen Kumar on ‘Overview of Invest Climate and Textile Industry in India’ and by Consul Ms. Aparna Ganesan on ‘Integrating Indian Handloom Industry to Global Value Chain”. 5. 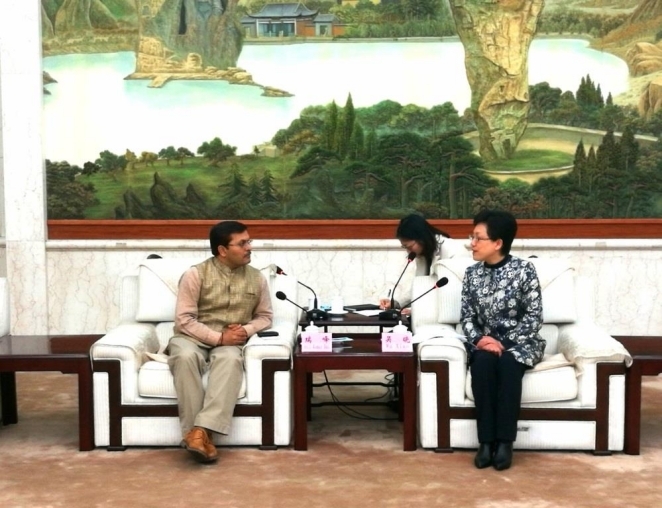 Mr Pradip Shetty, a prominent Indian businessman from Zhejiang province of China in his address appreciated the efforts of Government of India in bringing about landmark reforms and elaborated upon the support that could be further extended by the Shaoxing local government to increase the presence of Indian textile in China. 6. 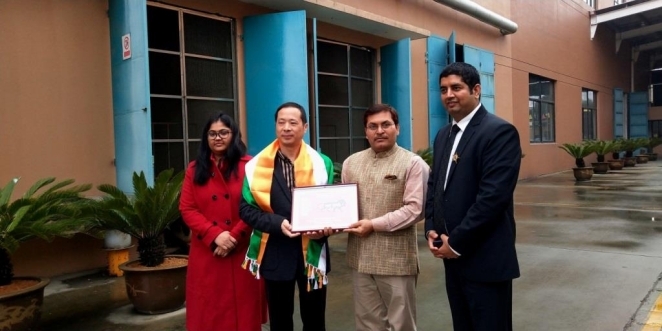 Mr Gope Hotchandani, a prominent Indian businessman from Ningbo, Zhejiang province, elaborated upon the benefits of manufacturing in India compared to importing from India. 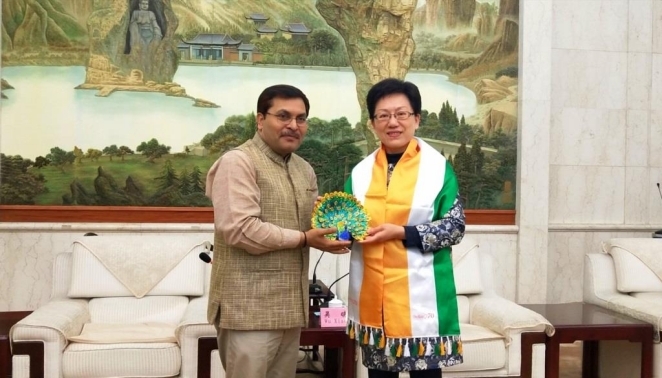 Mr Bulchandani Ajay Pratab, a prominent Indian businessman from Hangzhou, highlighted that since manufacturing in China was undergoing a phase of transition, India offered a great investment destination for those entrepreneurs who were looking to relocate or expand their business outside China. 7. Mr Neeraj Punhani, President of Indian Association Keqiao, elaborated upon the advantages that accrued from manufacturing in India because of incentives given as a part of Make in India campaign. He also highlighted the efforts the Government of India needs to put in to bring out the best in the resources and benefits available in the Textile industry in India. 8. In the Q&A session, apart from valuable suggestions, queries with regard to import duty structure of India, Special Economic Zones for Textiles and visa policy were answered by Consul General. 9. 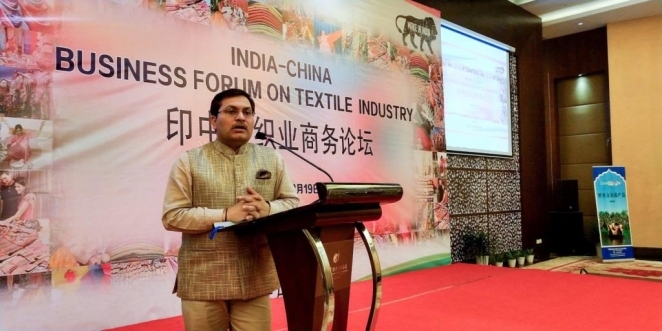 It is expected that investors from Shaoxing would visit India to explore investment opportunities in textile sector under flagship initiatives of the Government like ‘Make in India’.